This was a quick dish that I had to prepare for Konda not knowing what else to make. I had even sent for her lunch which she loved and then asked again for her Breakfast. I had planned to send along fruits or jam along with this. So it becomes a wholesome meal for kids. What happens most times is that I plan for something very complicated but then so many things happen and I end up making something very simple. Most times simple dishes seem to work out so well with Kids. 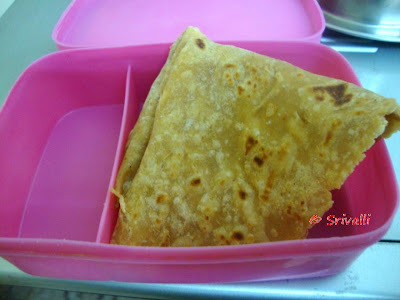 Konda loves cheese in any forms and this type of paratha works out best. I know there is not much of a recipe here. But then I have experienced that most times we don't remember these simple recipes when we are in need of a quick recipe. Not only that you end up delighting your child with these delicious dish. What you need to make these. In a bowl, take the flour, salt and ghee. 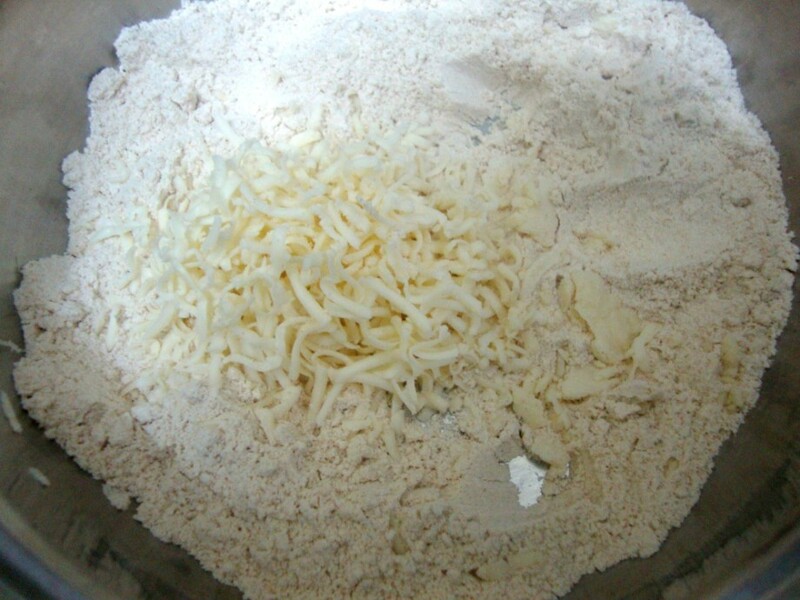 Grate the cheese directly into the flour, mix well along with chili powder. Slowly add the water as required to get a soft dough. Knead well to a soft consistency. Pinch out into small balls. Dust the balls and roll them into small circles. Konda likes it when I send small parathas. Heat a tawa, grease with oil. Cook the rolled out paraths on both sides with oil. Since the paratha has chili powder and salt, I mostly don't send anything along with this. But you can always send Jam, Chutney as per the kid's wish.